Chiang Mai was not even on my radar for places to travel. We are bonafied beach lovers, but decided to add in a more jungle-esque location to the itinerary this trip and were thrilled with the results and memories. 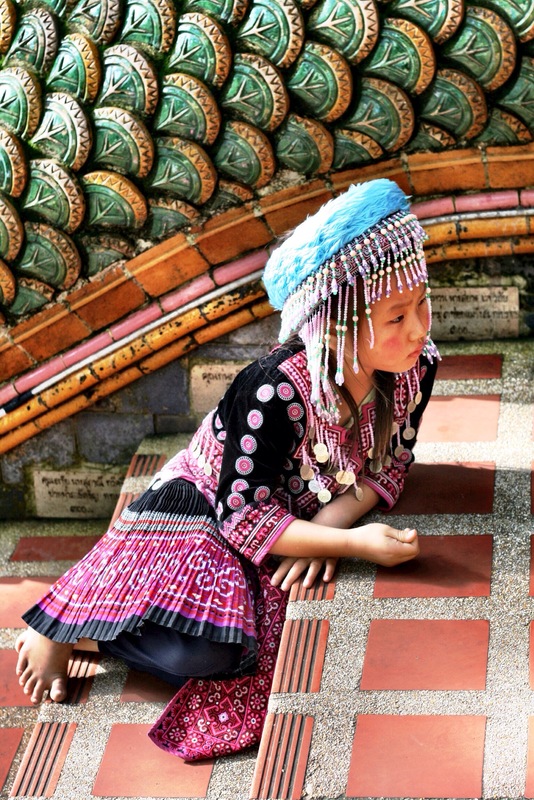 If you are traveling to Thailand and have a few extra days, trust me, GO TO CHIANG MAI. 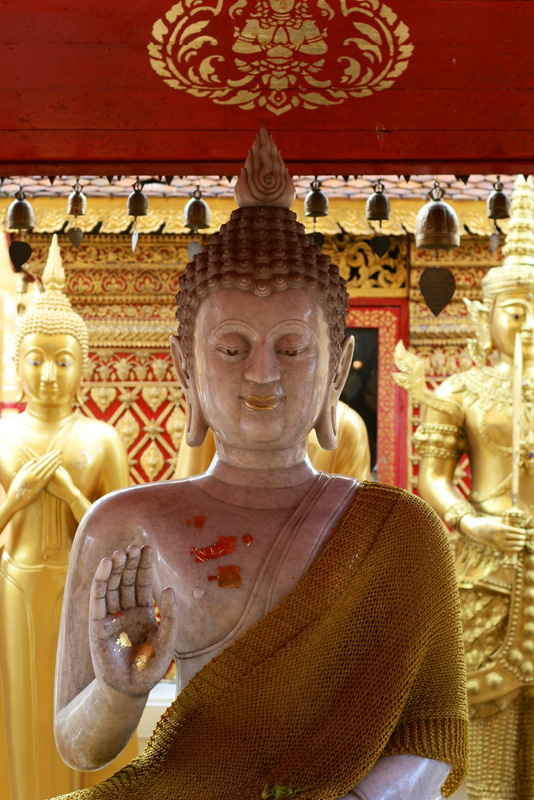 Here are a few tips to make your journey a smooth one prior to your arrival in Thailand. Pack super light for 2 reasons. You can get your laundry done for next to nothing and that extra room in your suitcase will quickly be filled with souvenirs purchased along your vacation route. Seriously! Don’t exchange money prior to arriving in Thailand. Just withdrawal via local ATM’s at the airport and your bank will give the best currency exchange rate too. No Visa is needed for Thailand…whew. Bring Tums or Pepto just in case. That street vendor food is yummy and very cheap, but doesn’t always agree, so it’s nice to have on hand in the middle of the night to avoid a 7-11 run. Upon arrival, grab your bags and a tuk tuk to get to your hotel. 2 seconds in, a rush will come over you as you speed through traffic and vacation has officially began. Whoo hoo. Look no further for a hotel during your stay while in Chiang Mai either. Rest assured, this is by far the best place to stay. Honestly, I could go on and on. Le Meridien Chiang Mai is steps from the Night Market, defines customer service, has 360* views of Chiang Mai and is the perfect place to call home while on vacation. Whether you are traveling with kids or as a couple, this hotel is top notch and has thought of everything. The breakfast buffet in the morning…ahhhhh. I still dream about the fresh croissants, honeycomb, homemade exotic jams, eggs made to order in ways unthinkable, green tea and coconut french toast and all the fresh local fruit one could eat. Heavenly and the perfect way to start the day. Along with this view from our room…. So now you are settled in your room, time to test the shopping waters. Oh me, oh my. This is where you are going to thank me for telling you to leave that extra room in your suitcase. The markets here in Chiang Mai are glorious and chalked full of handmade goods. 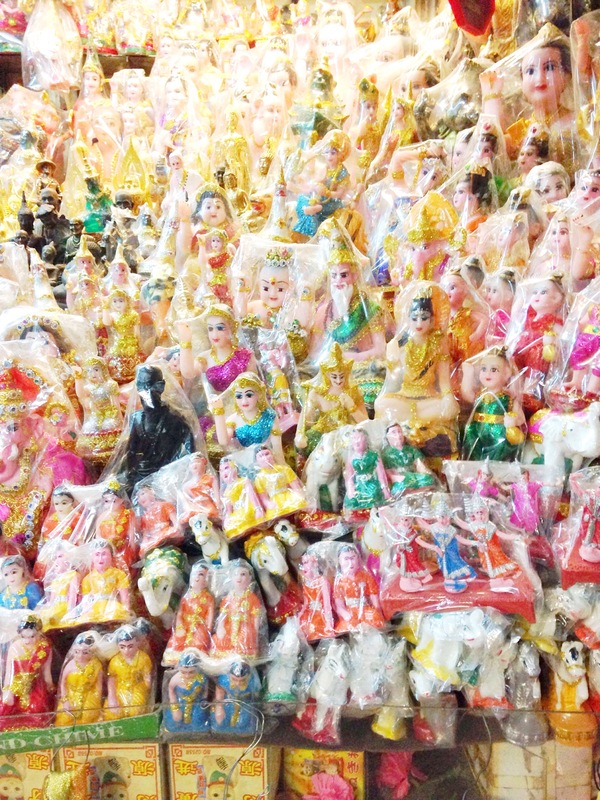 Everything from coconut lamps, to wooden sculptures, artwork, purses, hand carved lotus soaps, grass weed animals and more. You name it, it’s here and you are going to want it all, because the price is fantastic. BARTER for your goods! Everything is negotiable at these markets and that is part of the fun. Look before you buy too, as you may find the exact same thing around the corner for cheaper. On the knock off/touristy stuff, you can really barter. Enjoy the experience, but always smile and be polite. 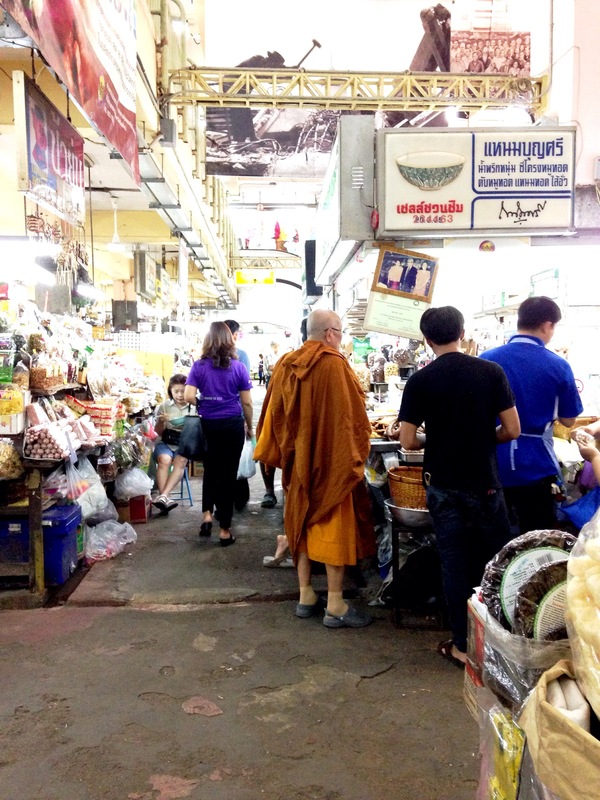 My favorite market to get lost in was the Warorot Market. Open daily and where the locals shop for their goods. Here you can buy anything from fruits to fabric to jewelry and everything in between. It’s fast paced and the wholesale feel left me wanting more. There is something magical about a night market too, so be sure to save some energy to get out and explore at night. The ones I loved are the Wui Lai Market on Saturday Night, Walking Street Sunday Market and of course the Chiang Mai Night Bazaar which is open nightly right outside Le Meridien. Be sure to indulge in some local street treats while shopping. 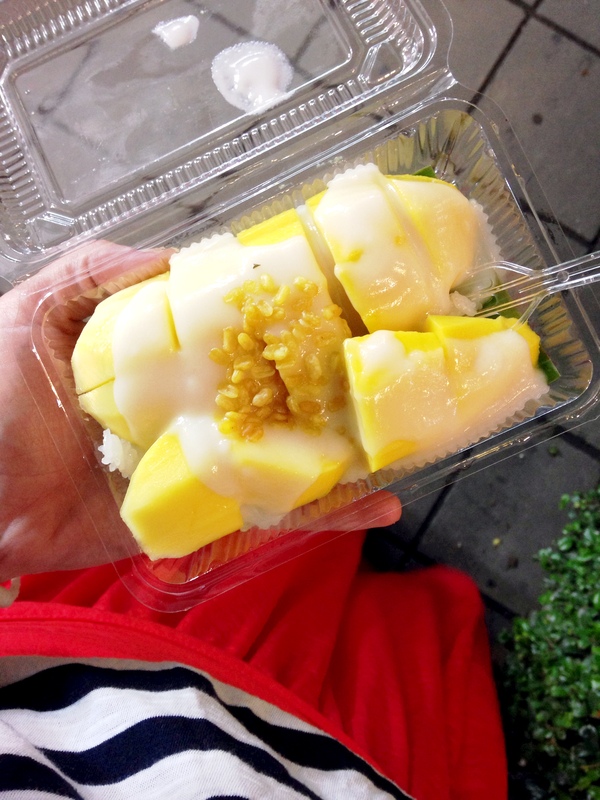 Rotee and mango sticky rice for 30 baht ( 93 cents USD) are mouthwateringly fantastic and guaranteed sugar rushes to keep your shopping experiences lasting longer too. A total win win. Then you arrive to this stunning Naga serpent staircase. Wandering the grounds was one of the most beautiful and spiritual experiences of my life. My family was blessed by a monk and that moment will forever be in my heart. Peace, health and happiness. Chiang Mai, we left a piece of our hearts with you. Yes, we donned bug spray and sunscreen twice and day…so what. You are worth it. Your monsoon, off season prices are outrageously fantastic. As is the weather…shhhhh. Massages everyday for 200 Baht an hour…yes please. Animal excursions beyond our wildest dreams. Jungle trek adventures. Did I mention many of these are discounted for kiddos?